Vietnam’s permanent mission to the United Nations held a ceremony to pay tribute to President Tran Dai Quang and opened a funeral book from September 24 through September 25 (New York time). 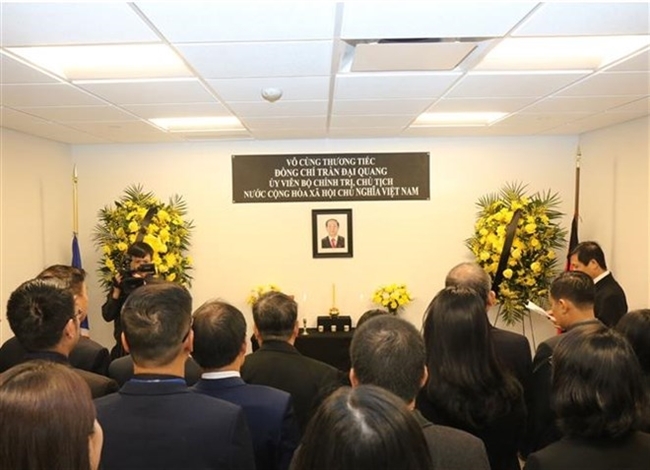 Large numbers of overseas Vietnamese, ambassadors and representatives from delegations to the UN, international organisations in New York and local officials came to the mission’s headquarters to pay respect to the Vietnamese President. The heads of State and Government along with senior officials of many countries, who are in New York for the high-level meeting of the 73rd UN General Assembly, also paid tribute to President Tran Dai Quang. Writing in the funeral book, the guests expressed deep condolences to the Government and people of Vietnam over the death of the Vietnamese President. 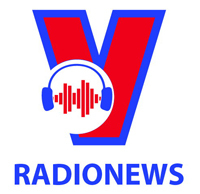 The people and government of Cuba will always remember President Tran Dai Quang for his contribution to strengthening the historical ties between the two countries, President of Cuba Miguel Diaz-Canel wrote. On September 24, the UN flied the flag at half-mast in tribute to the Vietnamese President. Earlier on September 21, the UN General Assembly held a minute’s silence to remember President Tran Dai Quang. The same day, the UN Secretary-General Antonio Guterres presented his deepest sympathies to the President’s family and to the Government and people of Vietnam. 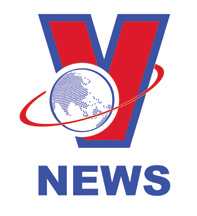 “A friend of the United Nations and an important promoter of Vietnam’s development, President Quang will be long remembered in his country and beyond,” the statement issued by the UN Secretary General spokesperson said.